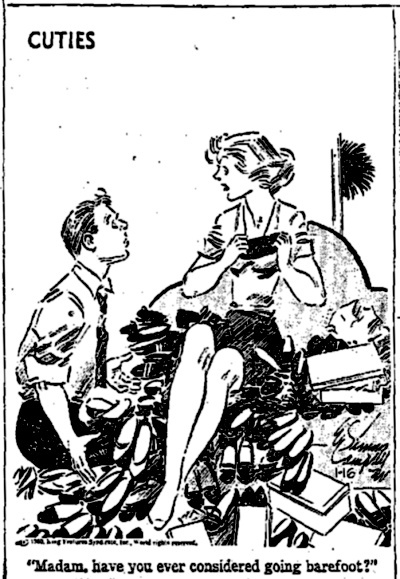 Today’s comic is from an old strip called Cuties, by E. Simms Campbell. Campbell was the first African-American cartoonist to really break out, and regularly appeared in Esquire Magazine, among others. He also did the Cuties comic strip. This cartoon was published on January 16, 1960. OK, it’s very, very late Saturday. So late that everybody insists on calling it “Sunday”. But better late than never. Today’s comic comes from Rose is Rose. It was published on May 29, 1996. It was sent to me by a reader of this blog. Today’s comic comes from November 20, 1966. 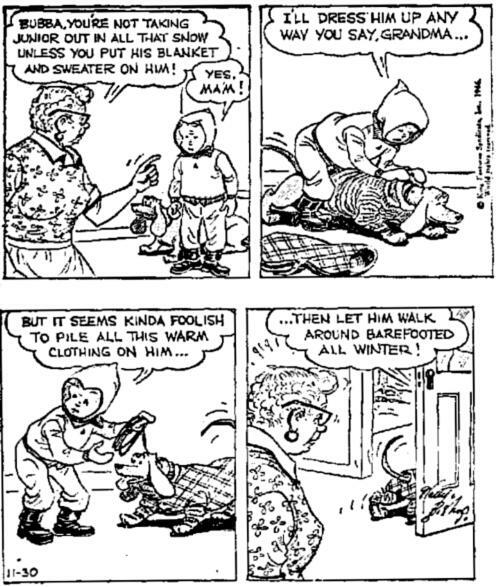 It is from Muggs and Skeeter, drawn by Wally Bishop. Today’s comic is from Moderately Confused by Jeff Stahler. It appeared on December 28, 2015. 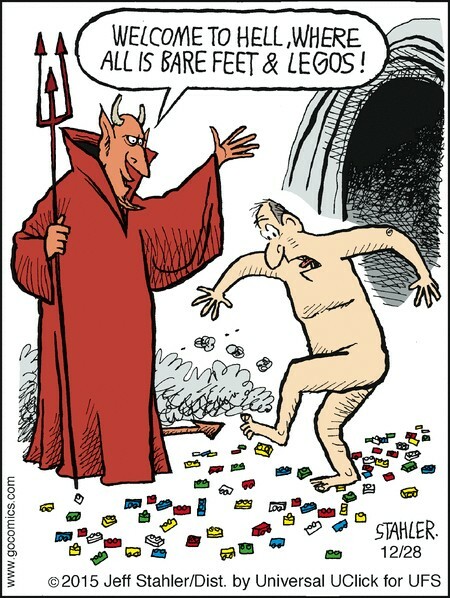 If you are going to hell, make sure you are a barefooter first. Then the Legos won’t bother you.